A disclaimer: Frank Turek, President of CrossExamined.org and author of I Don’t Have Enough Faith to Be An Atheist is a friend of mine. More than that, I consider Frank one of my closest friends and a true partner in ministry. But that’s not why I’m writing about his new book today. If I didn’t think Frank had written something important and special, I wouldn’t use my platform to tell you about it (regardless of my relationship with him). But Frank’s written a book you need to read and give to your friends. 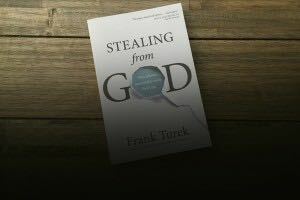 In fact, Frank’s new book, Stealing from God: Why Atheists Need God to Make Their Case, is the first book you need to read in 2015. When Frank shared the concept of the book with me over a year ago, I will admit I thought, “Dang it, why didn’t I think of that book?! ?” After all, doesn’t it sound like something written by a police detective? If you’ve enjoyed my approach to Christian Case Making, you’ll relish Stealing from God. 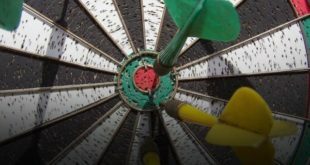 It will help you understand why the Christian worldview is unique in its ability to explain (and make sense of) our world, even as it demonstrates the fatal weaknesses of an atheistic worldview. What if your best reasons to doubt God actually proved He exists? 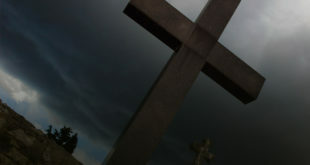 Frank examines claims critics of Christianity (and theism) typically offer to make the case against God’s existence, and shows how these aspects of reality actually require God’s existence in the first place. Frank’s book is brilliantly concise, including six chapters examining C – Causality, R – Reason, I – Information & Intentionality, M – Morality, E – Evil, and S – Science. 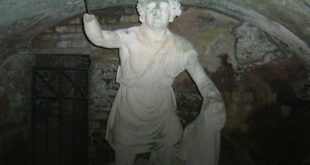 As always, Frank presents the material in a memorable way, demonstrating how “…in order to construct any valid argument for atheism, the atheist has to steal tools from God’s universe because no such tools exist in the world of atheism.” Frank’s arguments are pointed and supported by many illustrations and examples. He demonstrates how theism forms the foundation for reason, morality and science, and how it best explains the causality, information and evil we see in our universe. These aspects of our existence are typically offered by skeptics as evidence against theism, but as Frank often says in his talks and presentations, “Atheists must sit in God’s lap in order to try to slap Him in the face.” Unless theism is true, none of these features of the universe could actually exist. I’m encouraging you to read Frank’s book for two reasons. First, as Christians, we need to master the arguments and evidences described in Stealing from God. These broad categories of reality are under direct attack from critics of Christianity and we need to be ready to give a defense (and help our young people master their response as well). Stealing from God is yet another important resource to help all of us become better Christian Case Makers. But there’s another reason I am recommending Frank’s book: I believe in Frank’s ministry and approach. When I first met Frank, I knew right away we would hit it off. His “New Jersey” approach to the evidence for God’s existence (and the truth of the Christian worldview) is desperately needed in this age of “New Atheism”. There are times when Frank takes a “gloves off” approach to the issues, and his “apologetics with an attitude” approach seems perfectly suited for the time in which we live. Look, for example, at the titles of Frank’s books: of I Don’t Have Enough Faith to Be An Atheist and Stealing from God. These are provocative titles, perfect for the provocative climate in which we live. I speak at college campuses all over the country and I can tell you students (especially atheist students) respond to Frank’s messages because they are appropriately provoked by the titles. Frank has written yet another book you can give to skeptical friends, and I bet the title just might provoke them to read it. Frank has written a great book, and he’s written it with a great approach. Frank gets right to the task at hand and systematically works through each of the six points skeptics typically use to argue against God, showing how these aspects of reality are all dependent upon God’s existence. Frank then reviews the four-part case for Christianity he first presented in I Don’t Have Enough Faith to Be An Atheist (Does truth Exist? Does God exist? Are miracles possible? Is the New Testament historically reliable?) So if you’re looking for a book to strengthen what you believe as a Christian or a book you can give to a skeptic, Stealing from God will achieve both goals. To top it off, Ravi Zacharias even took time from his incredibly busy schedule to write the book’s foreword. If you read my blog often, you know I don’t typically take time to write book reviews or offer endorsements of this nature. 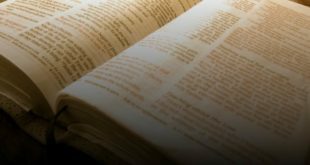 But there aren’t many books I wish I’d have written, so Stealing from God has earned a spot here at Cold Case Christianity. It’s an important book written by an important Christian Case Maker, and it’s the first book you should read in 2015. Next Why Are There Four Versions of the Sign on Jesus’ Cross?